A multi-year study, assessment and budgeting exercise with final culmination of a complete design and construction project. 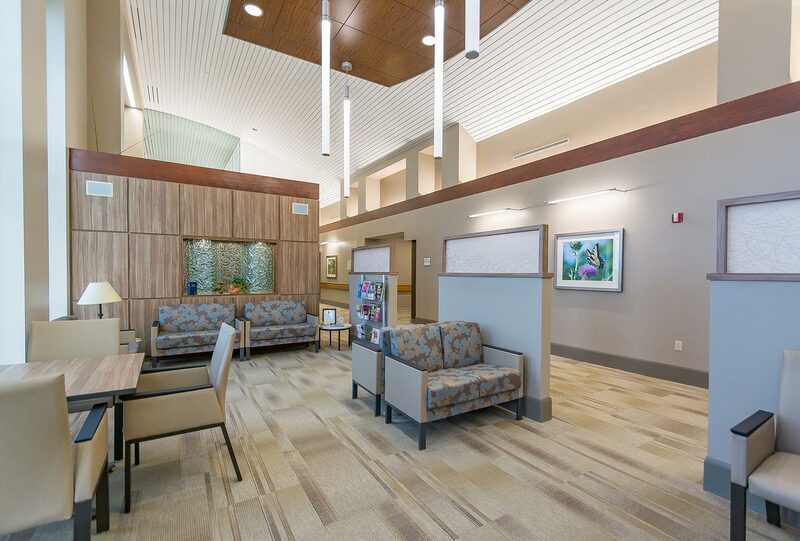 This study entailed the assessment of the physical condition of the building common areas from the perspective of the patient, visitor and staff. Exterior and interior signage were addressed and common elements such as safety, lighting, HIPPA compliance, and accessibility. The final outcome was updated and replace exterior and interior signage, renovated restrooms and lobbies, and installation of energy efficient LED lighting. 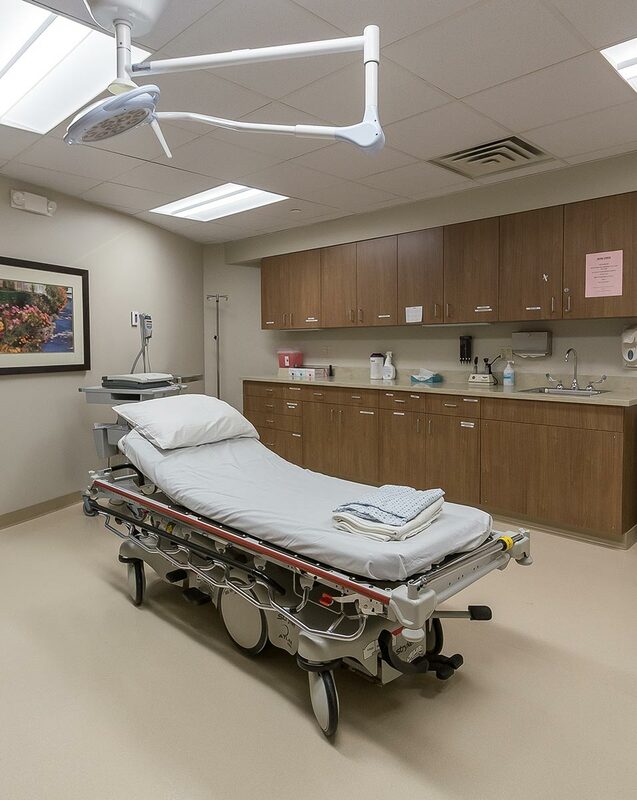 Additional elements such as new reception, check-in and check-out desks were added at the Hendricks owned clinics located within the building.